Lowest Price Online: $1499.00 ? 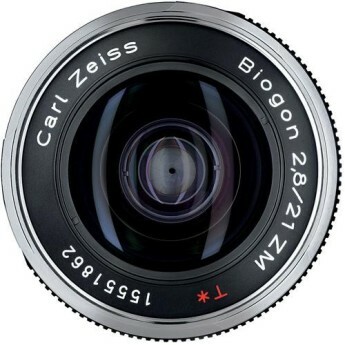 The Carl Zeiss Biogon T* 2,8/21 ZM is a solid alternative to Leica glass for rangefinder shooters, but it's not that sharp at the edges. Wide field of view. Minimal distortion. Excellent center-weighted sharpness. 0.5-meter close focus. Solid build quality. Edges of the frame are a little fuzzy. Manual focus only. Hood not included. WOW, JUST WOW. Initial review, will make a later review once taken a bunch of photos. Field of View is amazing. I purchased this lens, on impulse, for a trip with my M9. 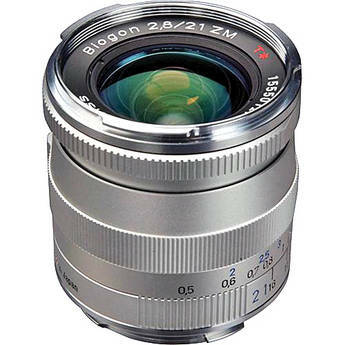 I already own the incredible 28mm Summicron, but thought something a bit wider may be necessary, and the Leica 21 was not in stock (no surprise). I was not at all disappointed. This lens is incredibly sharp, edge to edge, even at 2.8! I have number of Japanese Zeiss lenses and a German made 15mm . The fit, finish and optical design is excellent on all of them. 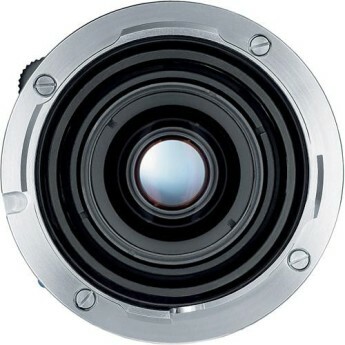 The only complaint is some of the lenses have excess grease oozing out of the rear portion of the lens. I have had to clean this up with a toothpick and lens tissue. What's so surprisingly good about the Zeiss 21mm ZM lens is its sharpness across the frame. It's astonishing, honestly, to see how much sharpness you get within an image. I can pixel-peep my images from my M-E and see barely any distortion or fudging of details. I recently purchased this item and was a bit dubious about my ability to use it properly. I can honestly relate that i am greatly pleased with this lens and have taken pictures that show detail very well and that show colors that are outstanding. It is every bit as good as I was told it would be. very small, narrow, and heavy duty lens.awesome. I have purchased and used on my M9 Leica's Summicron lenses at 35 and 50mm, and really appreciate them for their handling and sharpness, but chose to give this Zeiss wide angle lens a try after reading various reviews. I bought this lens and teamed it up with the Olympus E-P3...it acts like a 42mm/f2.8...it's a MAGIC COMBO.It's so sharp, and the richness in the color is stunning. Very sharp all over at all apertures. 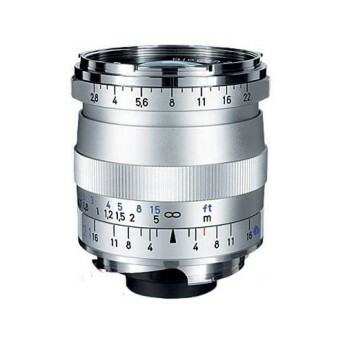 Costs far less than comparable Leica lens. Full metal construction. Lens hood is extra and no coding.